Light Era Studios is the artwork of Leigha W. Lugo, a visual artist, and designer based in Dallas, TX. Fascinated by the exploration of holography, color theory and sustainability Leigha creates works with various mediums presented on a variety of eclectic surfaces including her most recent series of furn-ART-ure and Moving-Murals. 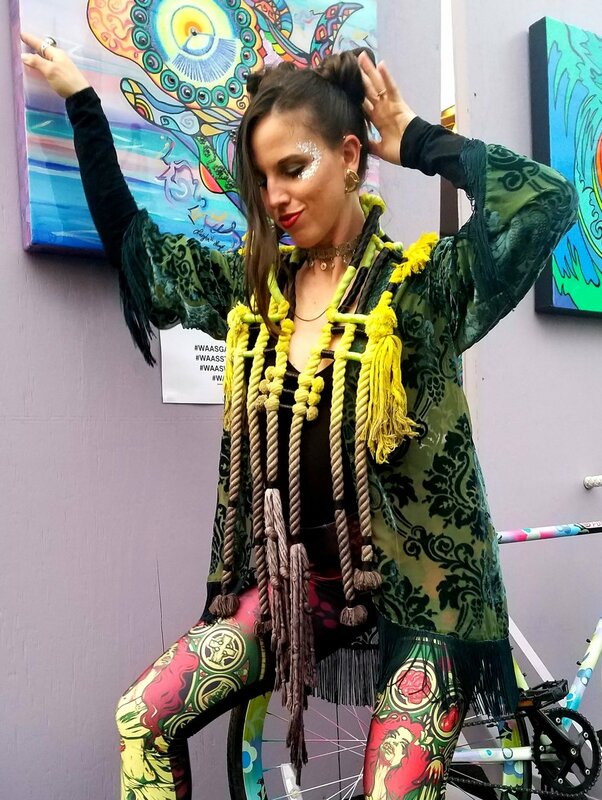 Inspired by textiles, light, and expression, she represents her environment with a fractal perspective and hidden messages to reflect how the art of fashion, music and technology shape our culture and our future.